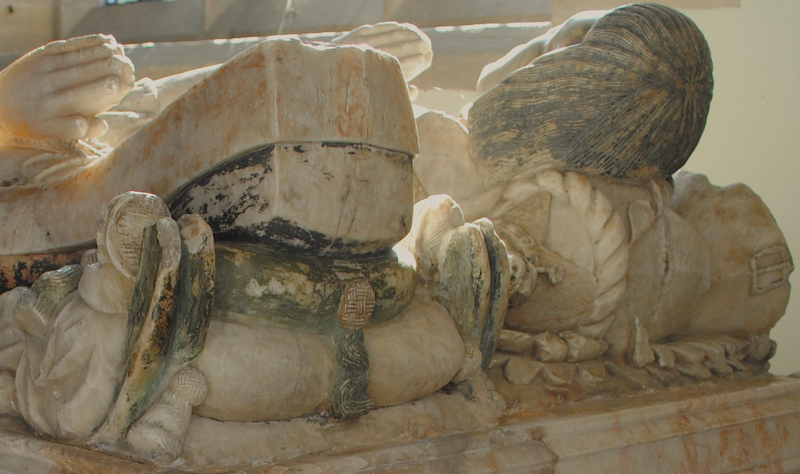 Located along the south aisle in the Church of St Peter & St Paul is the marble tomb monument to John Harington and his wife Alice. They had eight children and John was High Sheriff of Rutland who died in 1524. 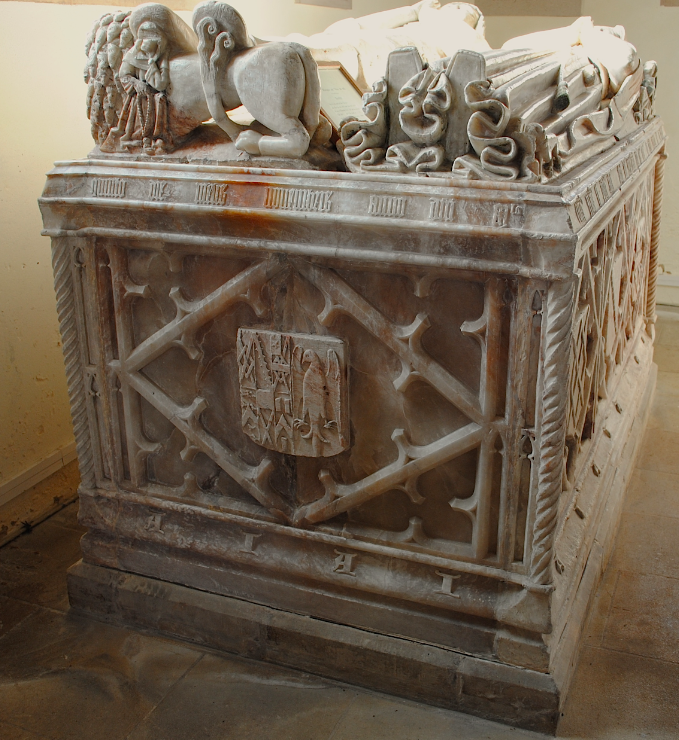 The tomb features a latin inscription round the verge and the panels around the base detail the Harington Coat of Arms. The male effigy is a replica of that of the Earl of Wiltshire with his tomb in St Peter’s Church, Lowick.